Karachi, following the success of the release of Parwaaz Hai Junoon’s trailer trending on Twitter and Instagram, reaching more than 1 million views on YouTube, the film’s first song, ‘Bhulleya’ was released worldwide, winning the hearts of the people and being dubbed as a song that makes one want to travel up north! Now the team has released its second song "Thaam Lo", a sung by none other than Atif Aslam. After much anticipation the song has finally been released, and has already capture the minds and audience. 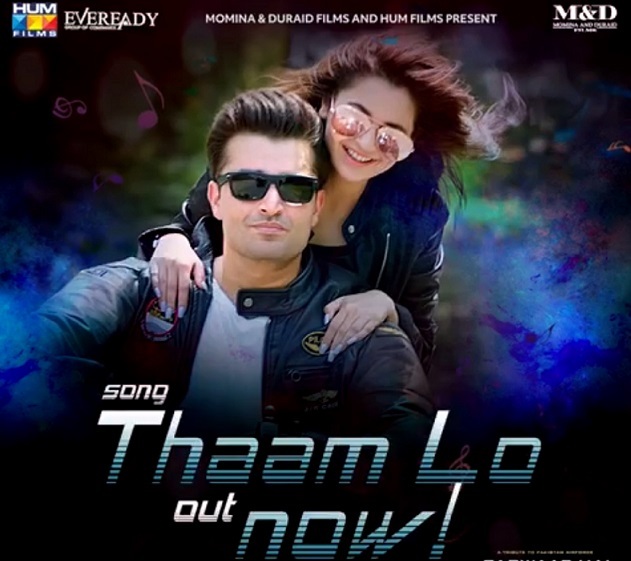 A song composed under the supervision of director-turned composer Azaan Sami Khan, ’Thaam Lo’ is a love song, that tugs at our heart strings, and serenades us into falling in love with the films characters. Atif Aslam, the King of love songs, talks about making promises without having to say anything, along with the trust and security in a relationship. The song features Hania Amir and Hamza Ali Abbasi. Two of Pakistan's most popular heart sweets are shown falling in love finding each other and the song itself has a bitter sweet theme to it, making the audience wonder what will happen to our beloved characters! Parwaaz Hai Junoon film will be released globally including Pakistan this Eid Ul Adha.